Now that Mercedes-Benz has returned to the straight six architecture, comparisons between their cars and BMW offerings are even closer than ever. Not only they share similar sizes and cylinder counts but they are now closer than ever in horsepower and torque outputs as well. The video below shows how second tier straight six diesel engines fare against each other, in an acceleration test between the BMW 540d and a Mercedes-Benz CLS400d. The video comes courtesy of the guys from AutoTopNL and shows how the two cars go from zero to their respective top speeds. I should mention though that these are not traditional rivals though. 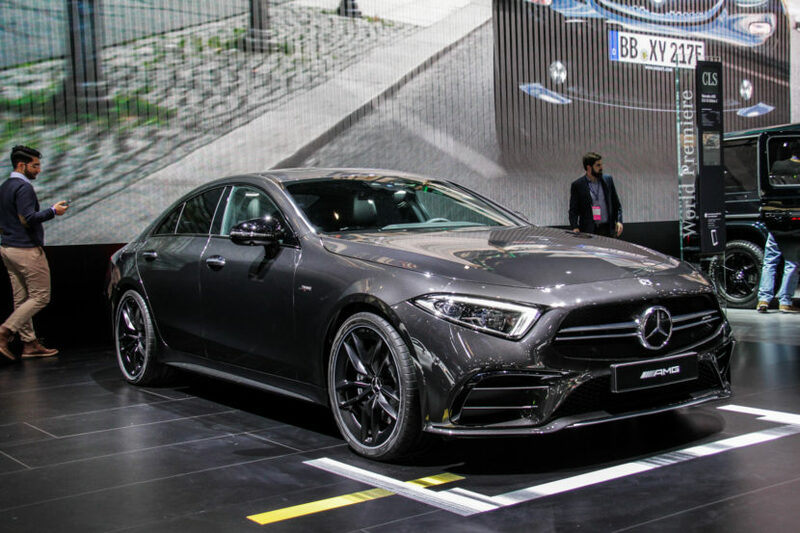 The CLS is a more stylish, less practical proposal from Stuttgart and, in my opinion, a much uglier car than both the BMW and the CLS it replaces. I just can’t get used to that rear end, that feels unfinished to me. But that’s not pivotal to what we’re watching here though. What is though hides under the hood of each car. The BMW in 540d guise comes with a 3-liter straight six engine with two turbochargers delivering 320 HP and 680 Nm of torque. The car in the footage below also comes in all-wheel drive guise even though the video doesn’t specify it, as that’s the only way to get this engine on the 5 Series range. On the other side of the screen we have the Mercedes-Benz CLS400d. It uses a straight six 2.9-liter diesel engine also fitted with two turbochargers but making 340 HP and 700 Nm of torque, numbers slightly better than on the BMW. The CLS is also all-wheel drive and has the 4Matic+ system on board, allowing it to sprint from 0 to 100 km/h in a claimed 5 seconds flat. Therefore these two should be pretty evenly matched, as the video shows too. The BMW is a bit quicker off the line but the CLS catches up to it in the triple digit range due to its superior specs but there’s really nothing between them.